Home  My Gleanings Page  Illustrated Edition - Page 7. Illustrated Edition - Page 7. Some of the Leading, Professional and Other Active Citizens of Marion. Born to legal purple, his success might have been great through the illustrious name of his father, but his own merits give him a prominence that is distinctly his own. 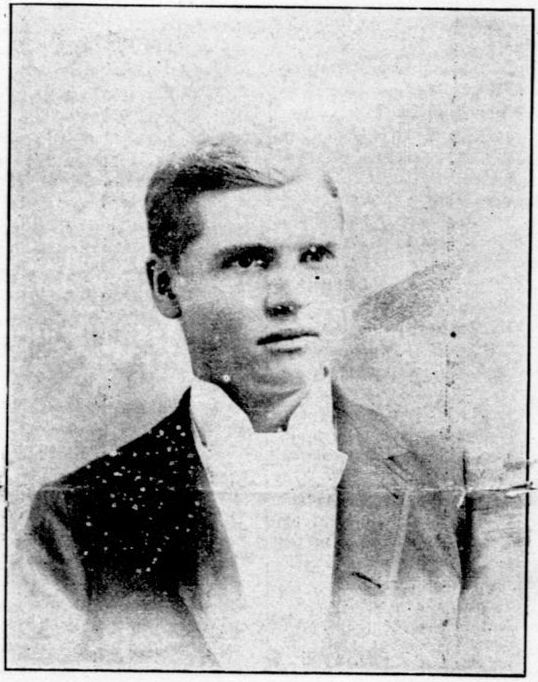 He was born on a farm in Crittenden county July 27, 1871, attended the public school and academy at Marion receiving a thorough general education. In 1887, he was elected page to the House of Representatives and in 1889 was made cloak room keeper of the Senate. He was a favorite with the members, took readily to legislative matters and was soon as familiar with parlimentary [parliamentary] laws as the members themselves. 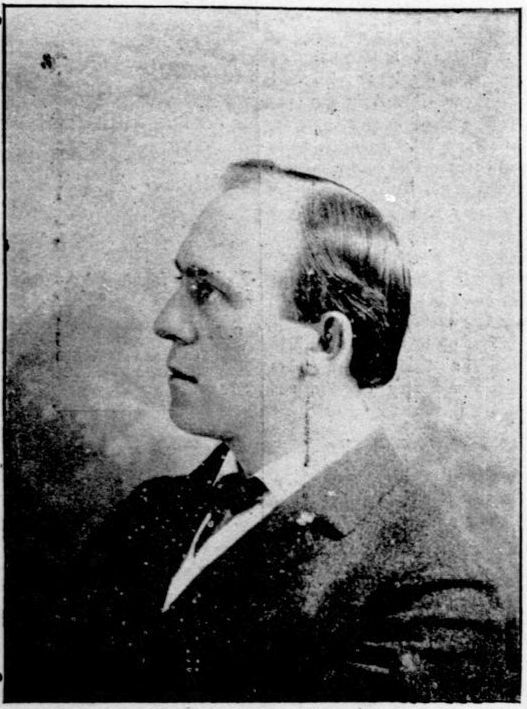 He was admitted to the bar in 1891, under Judge Givens, formed a partnership with his father in 1892. His naturally strong and well-equipped legal mind together with his persuasive address has won him an enviable reputation, he has that magnetism that commands strict attention when he talks. From boyhood he has taken a great interest in politics, began making campaign speeches in 1892, and attracted much attention on account of his forensic ability, and received pressing invitations to other counties to speak. When the convention met to appoint appellate judge he was made chairman of the body, and at all state conventions commanded general attention. He placed S. O. Nunn in nomination at the Senatorial convention. His address to the Tammany club at Paducah, Ky., in 1892 was one that an older orator might be proud of, for if he is deserving of greater fame in one line than another, that line is speech making. He is a good jury lawyer, always gaining his prestige by honorable means. He has a larger acquaintance over the state than any man in the county and before him opens a bright prosperous future. The party expect great things of him; the legal fraternity are proud to honor him; and he has the confidence of the people. The law firm of Cruce & Nunn occupy a fine suit of rooms in the Carnahan building, and are never too busy to talk and execute business, although they have a large law practice, one that has proven alike satisfactory to the lawyer and to the client. The large library, composed of the authentic works with the latest reports and publications, brings them in touch with the brightest minds of this and every other age, and much time is devoted to a careful perusal of its volumes. They are both men of experience and ability, whose practice has won the favor of all with whom they have met in business connection. Wm. I. Cruce, the senior member of the firm, is a Kentuckian. His legal education was thorough and he possessed the necessary qualifications to make practical use of it. He is a lawyer of recognized ability and Marion has cause to feel proud of him. Well versed in law and unusually ready and quick in repartee, it is not strange that he has established a position among the best lawyers of the State. C. S. Nunn is also a son of Kentucky and is a rising young attorney. He has the natural adaptation and educational training for a good, sound lawyer, and thus far in his professional calling has every reason to be pleased with his success. He is careful and painstaking, looks closely after the interests of his clients, and secures favorable verdicts by the employment of honorable and professional methods. The firm as now composed is one of the best in this part of the State. They have incorporated into their law practice live business methods. They are not only able to handle any matters entrusted to them, but they give close and prompt attention to all cases of whatever magnitude, and if they take it at all, it is "to win." Their live methods are continually adding to their already large volume of business. The present Sheriff of Crittenden county, is one of her most favored sons. Born in 1859, he was raised on a farm, and thus attended the common schools. 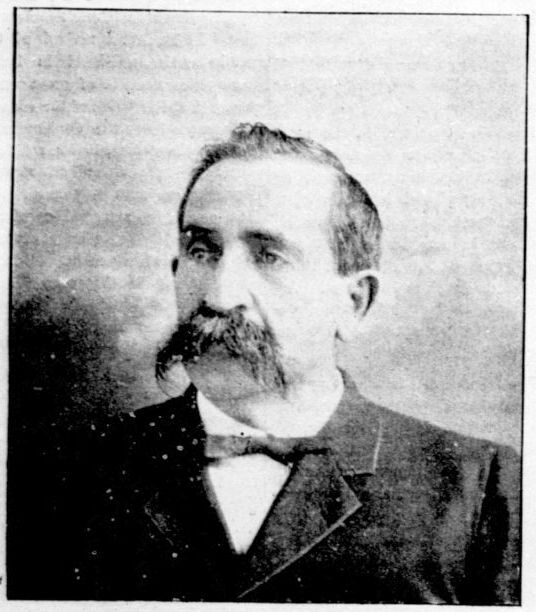 He entered the political field in 1890, but was defeated in the race for the legislature by a small majority. Two years later he was elected by a large majority to the office he now so ably fills. He was a strong man and made a good run, for his opponent was a man of recognized ability. 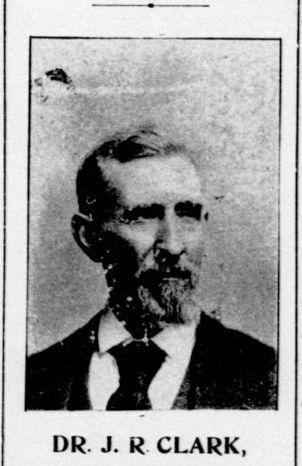 Mr. Franks has filled the position to the entire satisfaction of his constituents, and all have been satisfied that every duty received his careful attention, for on him performing well his part depends the peace and order of the entire county and Crittenden's prosperity was never more pronounced than at the present time. Mr. Franks devotes himself to the interests of the people, and no duty is too irksome of tedious for him to undertake, as he is courageous, determined and fearless. 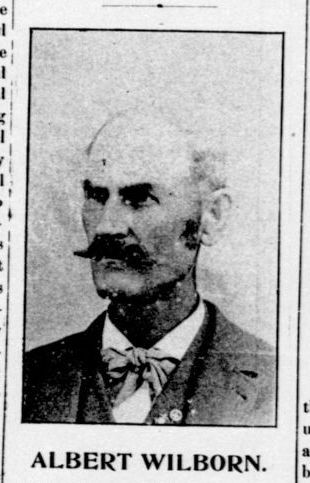 Previously to his being elected sheriff he was employed as a mail agent on the railroad, and was found prompt and reliable in that trustworthy position. He held the place a year, resigning it to enter the race for sheriff. He was renominated for sheriff without opposition and will receive a hearty support, for he has proven himself a good man for the office, and the people know that he is honest in his business affairs and a man in whom they can place their confidence without danger of its betrayal. He deals justly with all, for justice is for the good of the State and the nation. The County Clerk, is one of the most popular officers the county ever had, and has held the office since 1878. He is a painstaking and competent officer, whose constituents are prod to run as their choice, while those who did not support him find no room for complaint, as he gives his careful attention to every detail of his official duties. 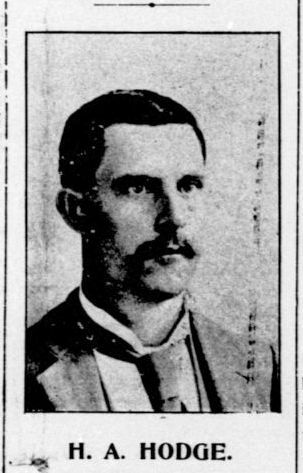 Mr. Woods is a native of Livingston county, but removed to Marion when only fifteen years of age, and was there engaged in the business for himself until the people recognized his ability and tendered him the office of county clerk. He has exemplified the wisdom of their choice by the manner in which he has discharged his duties. He is thoroughly embued [imbued] with the importance of attending strictly to business, making it hold first place always, for that is the only sure road to success. He is so well known throughout the county as to make introductions or encomiums unnecessary, and his friends number as his acquaintances. He is prominent in the social circles as in the business connections, treating all with due respect, as he is a gentleman in every sense of the term. He is a firm believer in the Democratic faith, and has ever held the banner in honor. He is a candidate for re-election to the office of which he is the present incumbent. He has made a careful official, on to whom the PRESS is glad to pay tribute in this issue. There is not a man in the county who has such a thorough knowledge of its business its records and its people. Thoroughly familiar with the laws of the States Mr. Woods is of incalculable value to the people of the county as an advisor, and in this respect he saves to the people hundreds of dollars every year. In all ordinary matters pertaining to the records of matters that belong in any way to the county court, there is no need of employing a lawyer for advice. Dave Woods has the information at hand, and no matter who wants it, rich or poor, great or small, white or black, it is free for the asking. There is not a clerk in the State his superior, and but few are his equals. It was a great day for this county when he was elected its clerk. The beneficial results of all classes of insurance, whateve[r] may be its special object, are so well known and freely conceded that in this day no prudent man of business neglects to avail himself of the indemnity provided by reputable companies against possible losses by fire, etc., or death, consequently as a business, protecting and fostering all others, insurance merits particular notice. In this, as in all branches of business, some companies, from a long and honorable career, from the legitimate, conservative and strictly honest policy of their management stand pre-eminently in the front rank. In fire, windstorm, and accident insurance Mr. Hodge represents only well known and leading companies, but his specialty is life insurance and he represents the Manhattan Insurance company, one of the oldest, staunchest, heaviest capitalized, best managed and consequently the most successful in existence. The Manhattan writes the most important policies in life, endowment, and tontine plans, and Mr. Hodge is a careful and judicious underwriter. 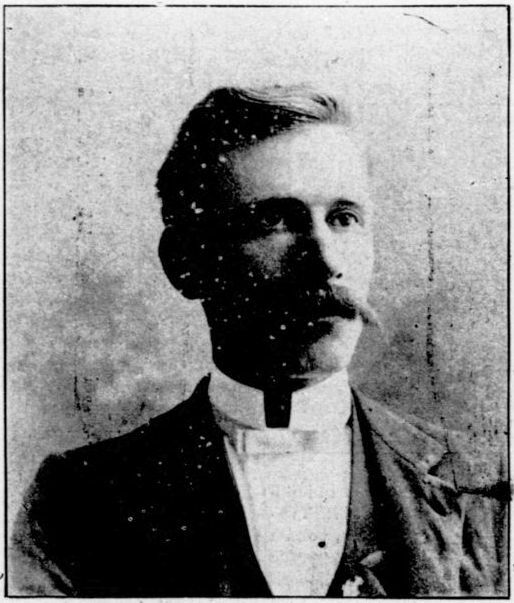 Mr. Hodge received a thorough education in the Marion Academy, graduating with high honors, and was afterwards elected superintendent of schools, which office he filled with dignity and credit, and was then made county surveyor. He entered the insurance business three years ago, and has built up a large business, which continues to increase under his energetic, liberal minded and thoroughly conservative policy. He is one of the prime movers in everything that helps the city and his business has left its imprint in commercial circles. Enterprising and pushing, as well as thoroughly reliable, he has earned for himself by his fair dealing, a reputation much to be envied, and at the same time, greatly redounding to the credit of the city. This epitome of Crittenden county's brave sons would not be complete without a mention of Albert Wilborn, the master commissioner and trustee of the jury fund. He was born in 1849, raised on a farm until he was nineteen years of age, at which time he began teaching school and for seven years was thus engaged. He next directed his attention to the carpenter's trade working at that until 1886, when he was nominated for jailer on the Republican ticket. He served as jailer for sour years, and after the completion of his second term he was made city marshal of Marion. In whatever capacity you have found him, he has ever been faithfully performing his duty and since his appointment has made a fine official as master commissioner and trustee of the jury fund. He is one of the public minded men of the town, such as have promoted her growth and nurtured her business prosperity. He has evinced his faith in her future by permanently establishing himself at Marion and investing his money in property. There are few men so well and favorably known throughout the county as Mr. Wilborn and but few have made it his duty to look so closely after her needs and deman[n]ds. The citizens have several times placed him in trustworthy and responsible positions and have ever found him able to the task and no burden too heavy if it was for the good of his town and county. He moves in the head with everything whose prime object is for peace and prosperity and may be safely dependid [depended] on to cheerfully perform his every duty. Is a native of Crittenden county. He was born in 1833 and his early life was spent on the old farm attending school in the rural districts for a few months in the winter while the work of farm life kept him engaged the remainder of the year. But in this way was laid the rudiments of an education and in 1855 he entered the Louisville university. Thirty-seven years ago he began practicing medicine and has had a very satisfactory practice. He ranks well with the medical fraternity and stands prominent among the representative citizens of Marion. He owns a large farm which he personally supervises, and he was for a number of years engaged in the drug business. Under Hayes' administration he was made examining surgeon for pensions. He has been eminently successful in his profession, and while very attentive to private duties he has ever been alive to the public duties of every one. He represented Crittenden county in the Legislature and the people found him true to their best interests, strong in the support of their wishes, yet with ideas so broad as to dispel any thought of sectional aggrandizement. He is a member of the firm of A. Dewey & Co., owners of the Merchant Mills. He is a prominent Mason and one of Marion's wideawake progressive business men. He is an ardent People's party man. Judge Moore was born on a farm in this county in 1838, and was brought up to farm life and farm work. He attended the common schools when a boy and his school work has been supplemented by knowledge, experience alone has furnished. 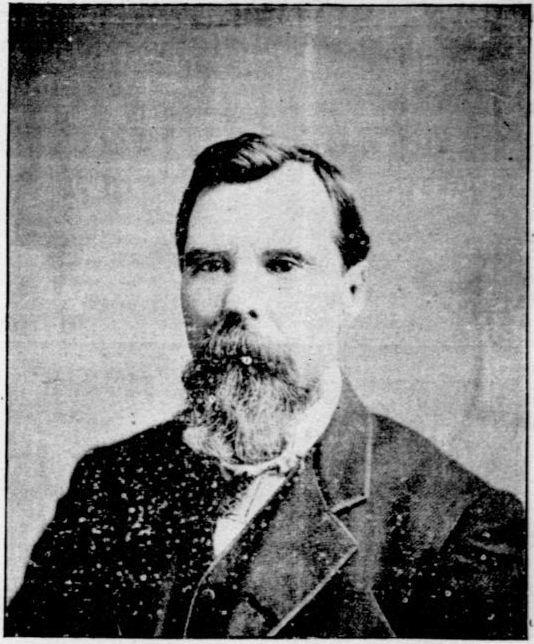 He began farming in 1861 and "his plow the stubborn glebe has broke" until 1886, at which time he was elected magistrate. He served the term of 1883-4 in the legislature, and was one of the best informed and broad-idea[e]d men in the legislative body. He worked for his constituents in a way that retained their favorable plaudits, and made him many good friends throughout the State. He was elected county judge in 1886, at that time leaving the farm that he might the better attend to his official duties. His reelection in 1890 is sufficient evidence of his popularity, and he has held the office with honor and dignity. In his decisions he has been honorable and concise, weighing all points carefully before making a decision or instructing the jury. He is well informed on legal matters, and loses no opportunity to receive information that will aid him in the honorable discharge of his duties. He is of one of the old time, honored families of Kentucky; his ancestors were sturdy, honest and industrious, such characteristics as stamp American nobility. Mr. Moore has a fine family of grown sons and daughters. He is a candidate for re-election to the county judgeship. Whether as an officer of private citizen he is the same courteous, dignified gentleman, a strong Republican, a partisan in politics, but thoroughly conservative in his estimation of men and measures. In this city and county, where his greatest success has been achieved, he has scores of admiring friends who know of his many generous deeds, and of the manly heart that beats within his bosom. He has always been prominent in all public matters and is an estimable citizen. Source: Crittenden Press. 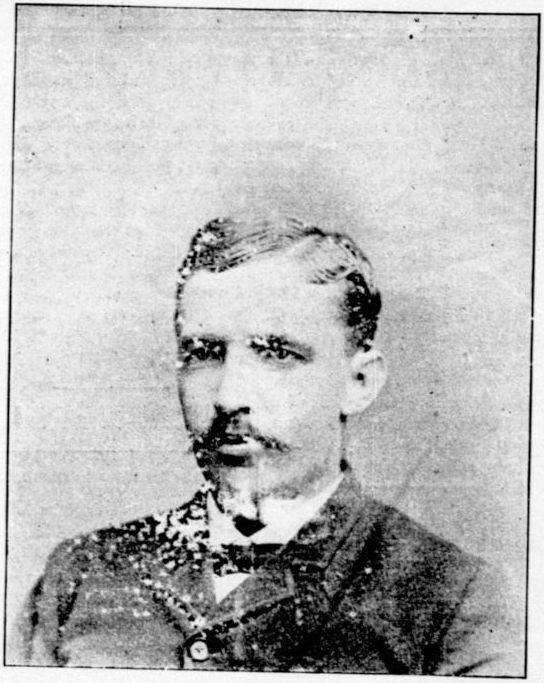 (Marion, Ky.) 1879-1907, August 16, 1894, Image 7 - Chronicling America - The Library of Congress.